The Crossroads appears in excellent condition. The trailer has been lightly used, and not used in 2018. Seller took a fall, and can't use the trailer as he would like. The unit is winterized, we're told no leaks any issues with this trailer. Upholstery was scotch guarded and appears in excellent condition. Looking for reasonable offers! Stock #170393 GREAT CONDITON, BARELY USED, READY TO HEAD OUT ON THE TRAIL WITH YOU NOW! 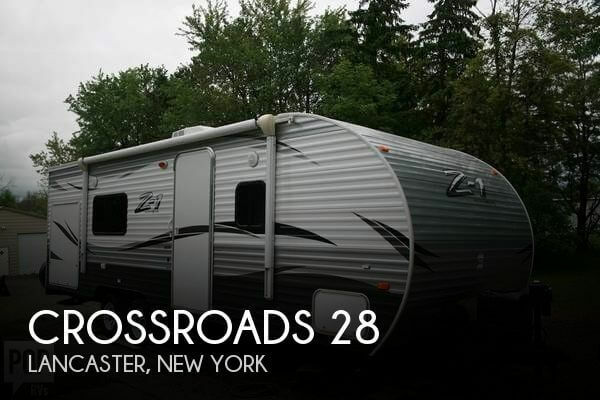 If you are in the market for a travel trailer, look no further than this 2016 Crossroads 28, priced right at $17,750. 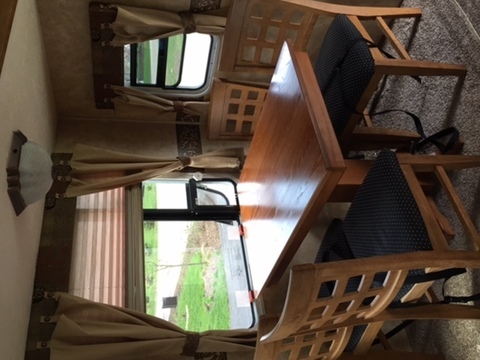 This Travel Trailer is located in Lancaster, New York and is in great condition. Reason for selling is health issues. As per seller, this Cross Roads M-39 FB is in very good condition. The furnishings and upholstery are in very good condition including the vinyl flooring. The kitchen and all appliances are in fine working order including all onboard electronics. Stock #170019 Excellent condition, like new, lots of storage and sleeping space, well maintained! 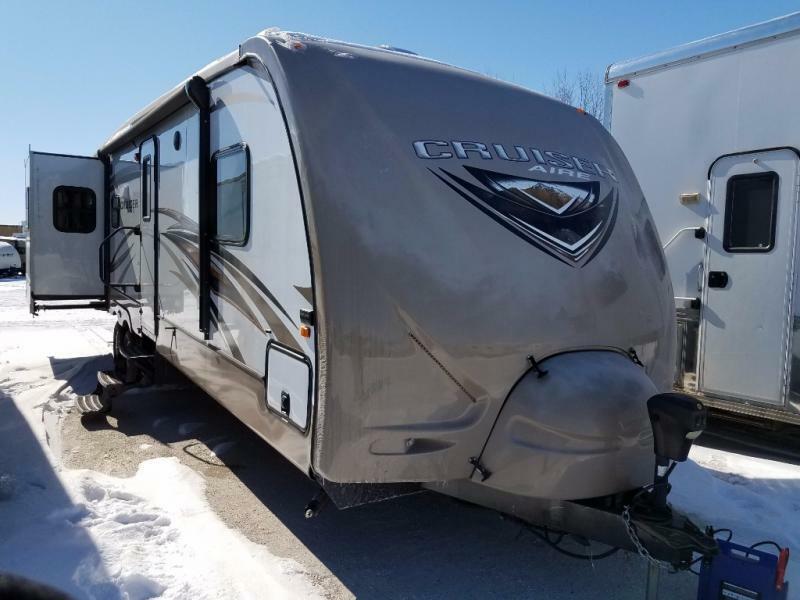 If you are in the market for a fifth wheel, look no further than this 2016 Crossroads M-39 FB, priced right at $71,700. 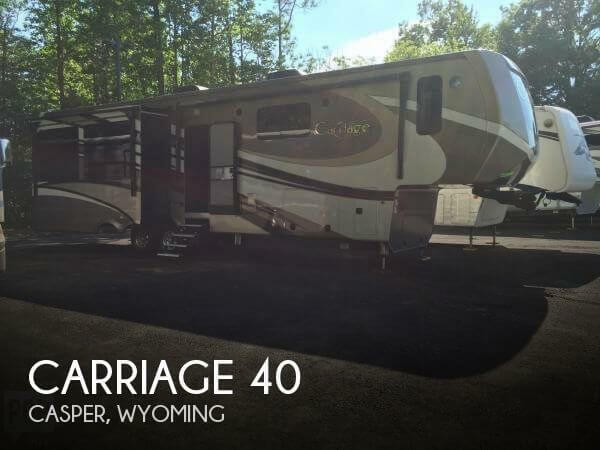 This Fifth Wheel is located in Casper, Wyoming and is in great condition. Reason for selling is not using enough. This travel trailer is in excellent good condition with everything working according to the seller. The awning over the rear slider needs fixing, and replacement parts just arrived, and it will be repaired before sale according to the seller. The vinyl on the base of both couches is peeling but doesn't effect the function or use. 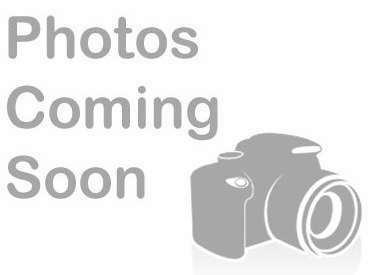 Stock #162764 Beautiful condition travel trailer! 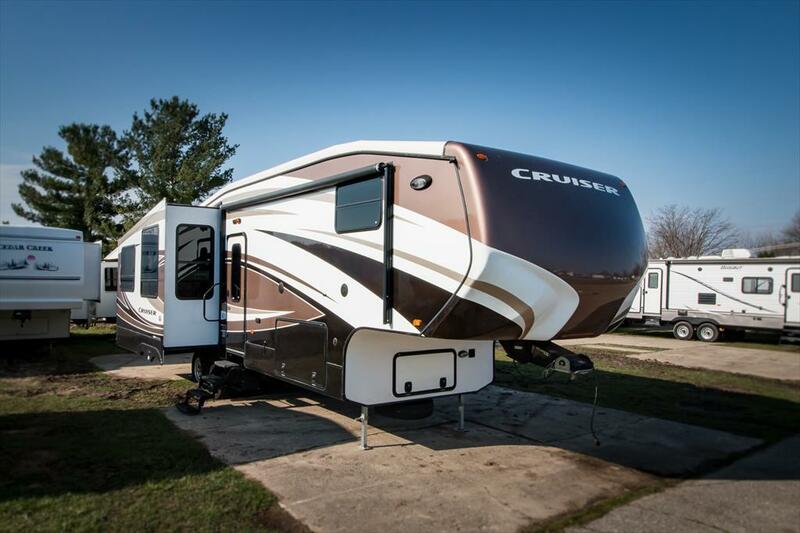 Loaded with lots of features including outdoor kitchen!! 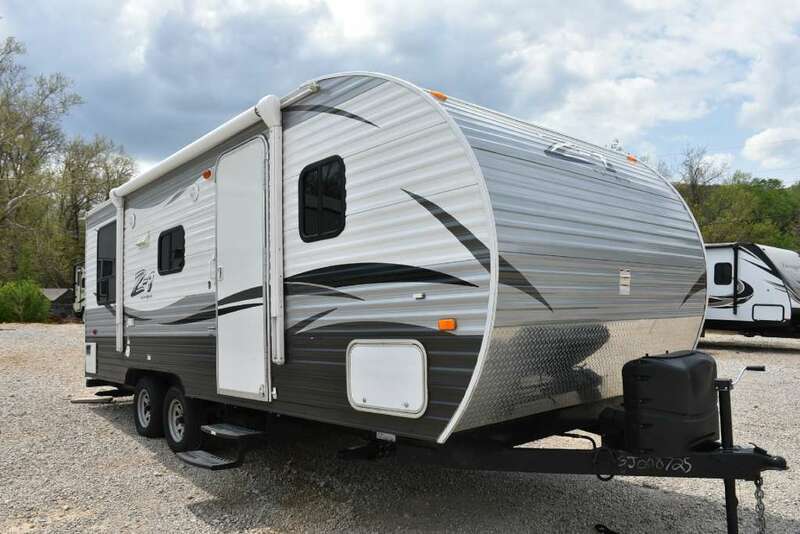 If you are in the market for a travel trailer, look no further than this 2014 Crossroads Sunset Trail Reserve 32BH, priced right at $22,500. This Travel Trailer is located in Palm Beach Gardens, Florida and is in great condition. Reason for selling is buying a house. 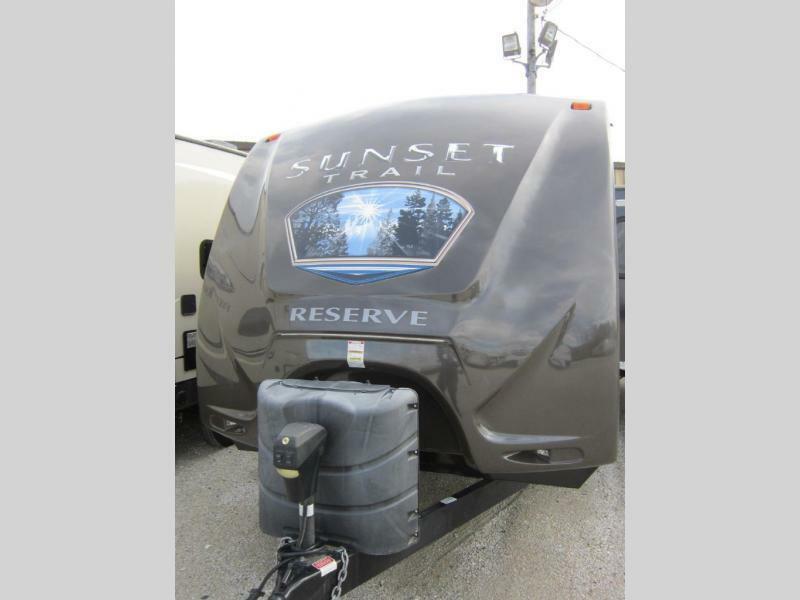 2013 CrossRoads RV Sunset Trail ST29SS, Single Slide Sunset Trail Travel Trailer, Rear Bunkhouse Bunk Beds, Flip Up Bunk, Jr. Dinette, Blanket Stowaway, Rear Bunk Ward., Wardrobe/Pantry, Booth Dinette/Sofa Slideout, Tub, Lav., Lav. 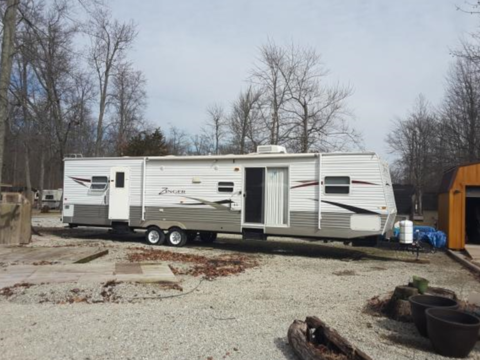 Cab., Toilet, Refrig., 3-Burner Range, Double Kitchen Sink, Entertainment Center, Front Queen Bed, Double Wardrobe, Overhead Cabinets Throughout & Much More! Available Options May Include: Grill. 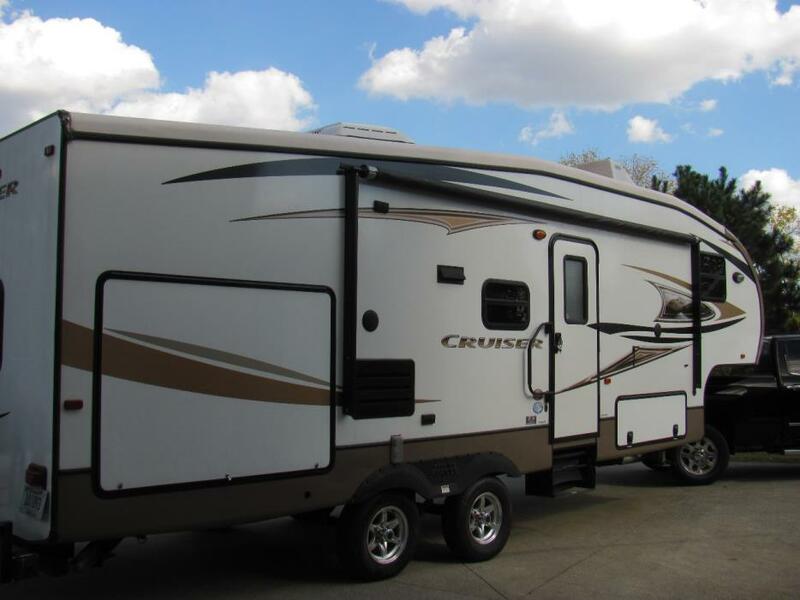 2015 CrossRoads RV Cruiser Aire CAT31RE, The Cruiser Aire CAT31RE travel trailer by CrossRoads RV offers triple slides and a rear entertainment center.As you enter the travel trailer, to the left is a three burner range, microwave, and double kitchen sink. The slide has two lounge chairs. Along the rear wall you will find an entertainment center. There is an additional slide with a sofa and a dinette. Next to the slide you will find a pantry and refrigerator.The side aisle bath has a sink, medicine cabinet, shower, and toilet. There is also a private entrance from the bathroom into the bedroom.The front bedroom offers a queen bed with shirt closets on either side of the bed. The slide has a linen cabinet, wardrobe and a chest.You will find plenty of overhead cabinets throughout the travel trailer as well as a pass thru storage area. There is even an optional bumper mount grill. 2017 Redwood 3901WB 2017 Crossroads Redwood 3901WB Options Included: Redwood Full-Time Living Package, Redwood Parks Package, Residential Appliance Package, In-Command smart automation system, 6 point hydraulic auto leveling, Flex Air pin box, residential fridge with ice and water dispenser, 8000 lb axles, dual pane frameless windows, 2nd power awning with LED lighting, power theater seating with massage, 30,000 BTU quiet A/C system w/heat pump, power cord reel, water filtration system, fireplace, power vent fan - bathroom, generator ready, king bed. 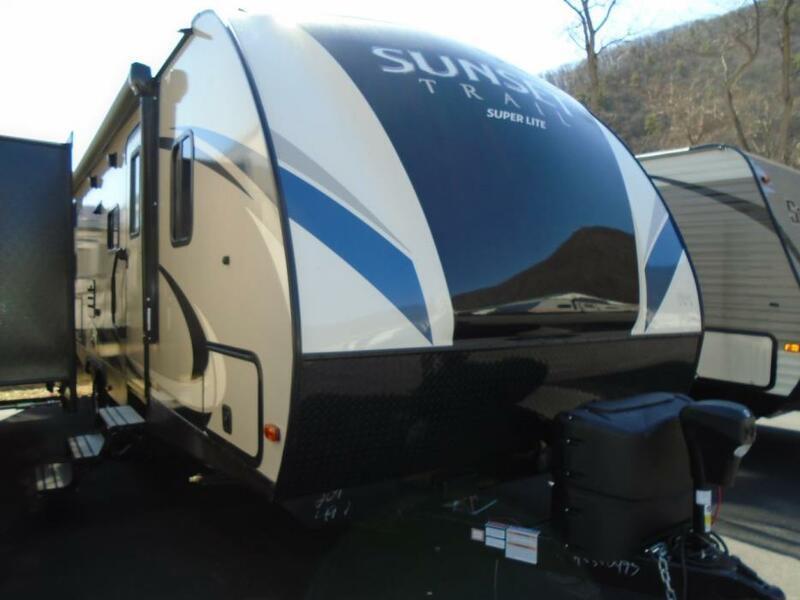 We are excited to introduce to our inventory the Sunset Trail 264bh! 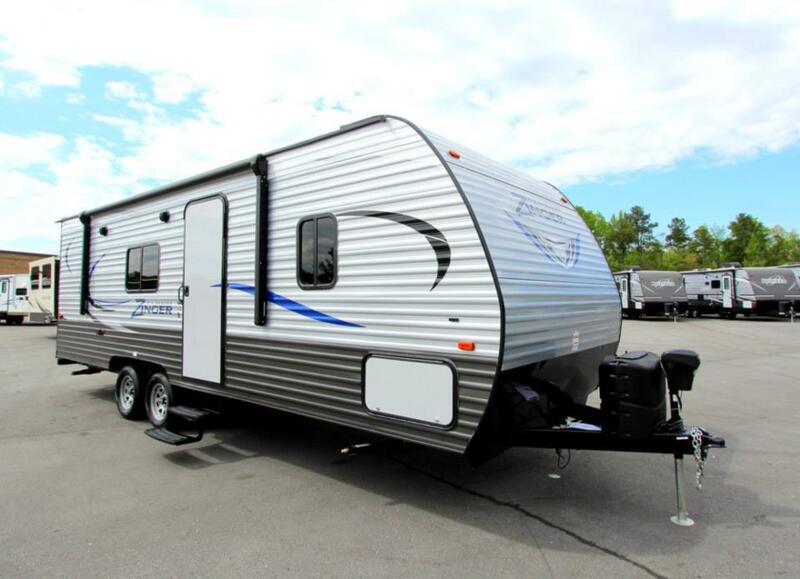 This super lite travel trailer is built with 6 sided aluminum construction, fully laminated walls and aerodynamic front caps for half-ton towing. The interior barreled ceilings provide for 82? clearance and the 30? exterior door with friction hinge allow for a more spacious feel. At the front of the unit is the master bedroom with 60?x80? residential queen bed, his and her shirt closets, nightstands, strutted under bed storage, nightshades and privacy doors. The rear of the unit houses double bunk beds and a bathroom with tub/shower combo, commode, vanity, medicine cabinet, and skylight. The living room features a Tri-fold hide-a-bed sofa, climate/vibration smart HD 720 TV, AM/FM/DVD/CD Stereo w/ Bluetooth and a skylight with shade. The kitchen features stainless steel appliances including oven, microwave and refrigerator. You’ll find a 3-burner stovetop with glass cover, double basin sink with cover and high rise sprayer faucet, seamless countertops and tons of storage. 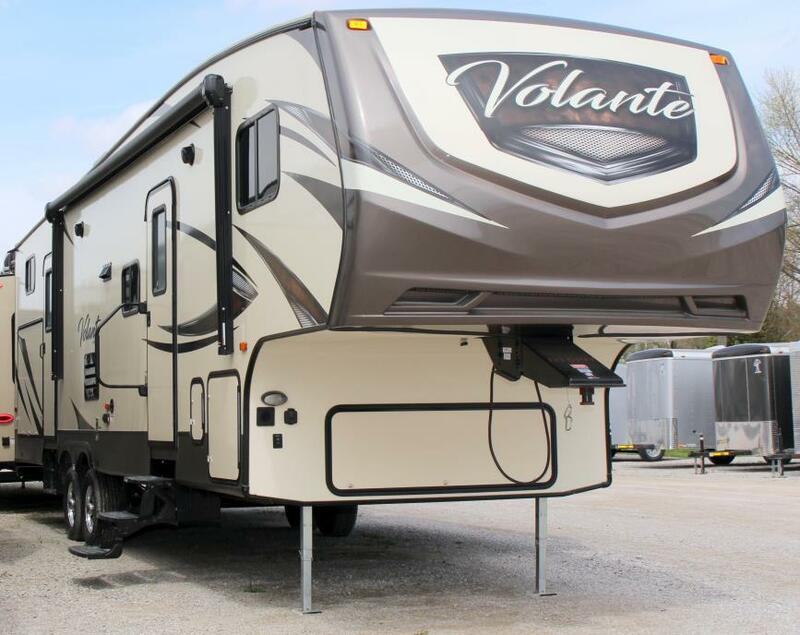 Additional features include enclosed underbelly, aluminum steps, electric awning with LED lighting, electric tongue jack, exterior shower, backup camera prep, exterior kitchen and much more! Stop in to see the Sunset Trail 264bh and start camping …TODAY!Dry Weight: 5203 Length: 30' 2? 31' bunkhouse with outdoor kitchen, sleeps 7-8. Well maintained and clean; two new tires and a new battery. One large slideout with cover. Outgrew this one and bought a bigger one. Need to sell! 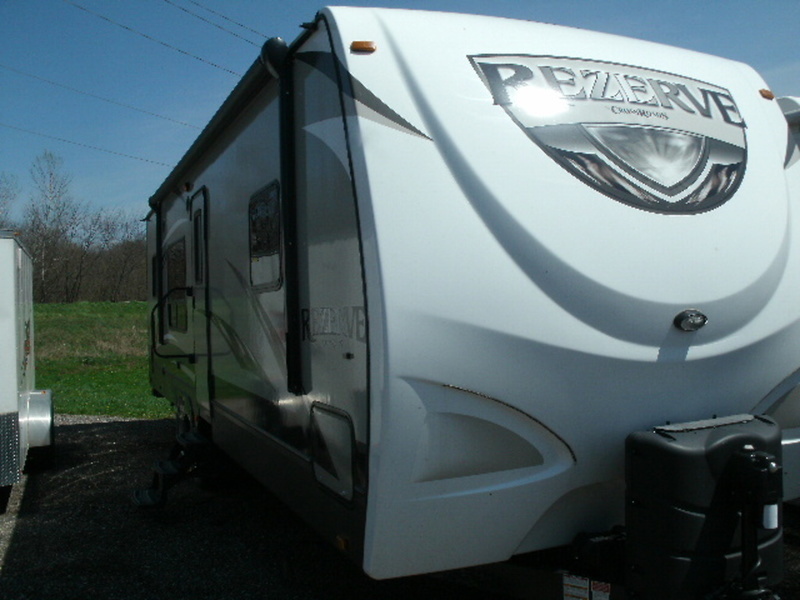 2015 CrossRoads RV Rezerve RTZ29RK, Awesome New Trade-in, save thousands, priced to sell fast. CrossRoads RV ReZerve RTZ29RK ReZerve is all about family fun! That's why we offer such a large variety of user-friendly features and elegant interior designs. These camper-tested RVs are designed with lots of generous storage, spacious living areas, and efficient kitchens that can feed the whole crew. Rich cherry wood finish gives the interior a look of elegance, and quality furnishings have extra amenities. But everyone agrees that ReZerve's most outstanding characteristic is its incredible value. Come See for yourself!